I should be moving on, looking forward . . . but I cannot stop gnashing my teeth over the way Texas Lt. Gov. Dan Patrick treated a man I respect and for whom I also have a fair amount of personal affection. I refer to state Sen. Kel Seliger of Amarillo, who belongs to the same Republican Party as Patrick, except they’re both Republicans in name only. Patrick, who presides over the Texas Senate, decided to remove Seliger from a key committee chairmanship, Higher Education. He also took him off the Education Committee, and put him in charge of the newly formed Senate Agriculture Committee. Then he yanked him out of the Ag Committee chairmanship after Seliger made an impolite remark about a key Patrick aide. Why did Patrick seek to punish West Texas — which Seliger has represented since 2004? I keep rolling around some theories. I’ve come up with one that I think makes sense. Seliger has too many Senate friends who happen to be Democrats. Patrick doesn’t enjoy that kind of bipartisan camaraderie. I remember not long after Seliger was first elected to the Senate in 2004 when he began talking about the friendships he had forged with Democrats. He would mention Sen. Juan “Chuy” Hinojosa, a South Texas Democrat, as a colleague with whom he would work on legislation. A Dallas Morning News article published a few weeks ago noted that Democratic senators think highly of Seliger. Kirk Watson, D-Austin, is considered one of Seliger’s best friends in the Senate. Another Democratic senator, Royce West of Dallas, also spoke highly of Seliger in the Dallas Morning News feature. Does the lieutenant governor — a fiery TEA Party conservative — get that kind of love from across the aisle? I have the strong feeling he does not. I don’t know if Lt. Gov. Patrick is prone to petty jealousy. However, I cannot rule it out, as I don’t know the man; I only know of him and know of the highly partisan legislation he likes to push through the Senate. Sen. Seliger isn’t wired that way. He calls himself a proud conservative. He pushes for local control and doesn’t like the state meddling in matters that are best decided by local governing bodies. Seliger also is a champion of public education; Patrick favors vouchers funded by tax money to send students to private schools. Sen. Seliger also stood as a bulwark in favor of the Texas Tech University school of veterinary medicine planned for Amarillo. I am not at all sure what Patrick feels about that, but his removal of Seliger from the Higher Ed Committee chair has the potential of putting the vet school in some jeopardy. I hope for the best for West Texas. I also hope Seliger rises to the occasion and is able to have his voice heard despite being stripped of political power. Indeed, Sen. Seliger might need to reach across the aisle now more than ever. Texas Gov. Greg Abbott is on record saying he believes the state ought to yank cities’ authority to deploy red-light cameras at dangerous intersections. Amarillo has responded to that declaration by increasing the number of cameras it has posted around the city from nine to 12. I remain a supporter of the technology that the city uses to assist in catching red-light runners in the act of breaking the law. The city is going to add seven cameras at intersections, while removing four cameras from other intersections. Thus, the city is continuing to use the technology to assist the police department. 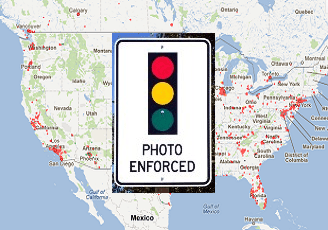 Moreover, the city is upgrading red-light camera assemblies at five intersections. So, what does that mean for the future of the technology? I suppose you can say it lies in the hands of the Texas Legislature. Amarillo has two House members representing the city: Republicans John Smithee and Four Price; it also has a state senator, Republican Kel Seliger, who managed to make some news in recent days because of his dispute with Lt. Gov. Dan Patrick. What do these three men believe about the red-light cameras? I haven’t asked them directly. Maybe I will, even though I no longer live in Amarillo. I don’t see any such cameras on the job in Collin County, where my wife and I now live. I don’t see them in Fairview, or Allen, or McKinney or in Princeton — where we’ll be moving into our new home quite soon. I would not object to any city in Collin County deploying these devices. The way I figure it, if it deters red-light runners then they are doing their job. As for Amarillo’s red-light cameras, consider this little tidbit: Texas Department of Transportation officials say that the three intersections where the cameras are being removed recorded just four collisions from July 2016 to the end of June 2017. They are heavily traveled thoroughfares, so I am going to presume that the cameras did their job. Cities should be allowed to determine for themselves whether or where to deploy these devices. They don’t need Bigger Brother looking over them. Two political incidents in the Texas Panhandle have provided significant evidence of just who holds the power in these disputes. I refer to two dustups: one involving Texas state Sen. Kel Seliger, R-Amarillo, and Lt. Gov. Dan Patrick; the other one involves the Amarillo Independent School District Board of Trustees. In both instances, the voters are getting the shaft by those in power. Patrick is angry with Seliger because the Amarillo Republican lawmaker doesn’t always vote the way Patrick prefers. What the lieutenant governor needs to understand — and I am sure he does at some level — is that Seliger works for West Texans, not for Dan Patrick. Patrick yanked the chairman’s gavel from Seliger, who chaired the Senate Higher Education Committee. Seliger said something supposedly unkind about a Patrick aide. Patrick then responded by pulling Seliger out of the chairmanship of the Senate Agriculture Committee. Seliger owes his allegiance to the voters of the sprawling Texas Senate District 31. As for Lt. Gov. Patrick, he is acting like a legend in his own mind. An Amarillo High School volleyball coach, Kori Clements, resigned after one season. She cited parental interference as the reason she quit; she also said the school district administration didn’t back her. The chatter around the school district is that the offending parent is a member of the AISD board of trustees. The board has been silent. It has refused to speak to the issue directly. It needs to do exactly that. Why? Because the board works for the public, which pays the salaries of the administrators and educators and which pays to keep the lights on at all of AISD’s campuses. The voters are the bosses. The AISD board answers to them, not to each other, or to the superintendent. There needs to be a public accounting for what happened to make Coach Clements pack it in after just a single season as head coach of a vaunted high school volleyball program. The public needs to know. It has every right to demand answers. AISDAmarillo HS volleyballDan PatrickKel SeligerKori Clements. Do you want to know the crux of what has pi**** off a leading Texas senator about the way the state’s upper legislative chamber is being run? Try this: Empower Texans, a right-wing political action group, has been given a ringside seat on the floor of the state Senate. Such groups usually are relegated to the upper floor along with the rest of the spectators who are curious about what’s happening in the Legislature. In the Senate, which is run by an Empower Texans darling — GOP Lt. Gov. Dan Patrick — the group gets to look senators in the eye while they debate and cast their votes. Seliger knows Empower Texans well. He had to fend off a spirited Republican primary challenge in 2018 from two ultraconservative candidates. He won his party’s nomination outright anyway, which is to West Texas’s great benefit. But the decision to allow this group of far-right-wing zealots onto the Texas Senate floor speaks volumes to me about the kind of place Lt. Gov. Patrick is creating. 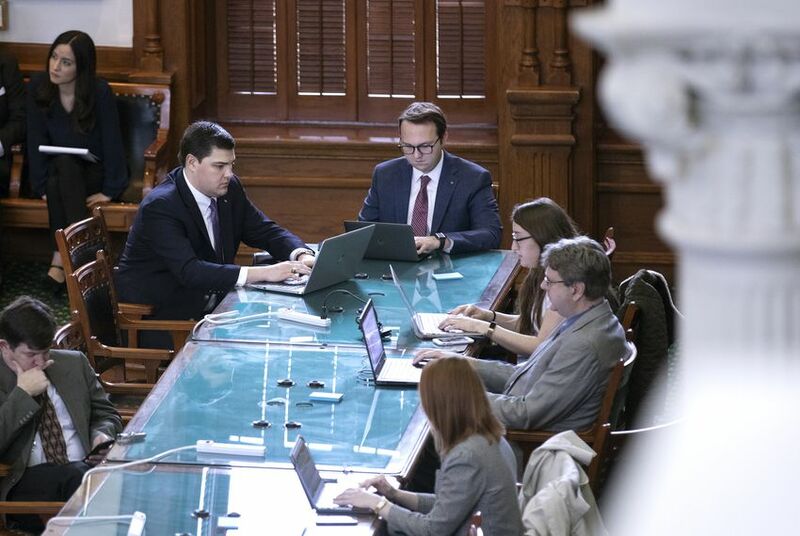 The Tribune reports that Empower Texans’ presence at the press table has angered some senators and ignited rancor early in the legislative session. I’ve noted repeatedly in this blog about the feud that has erupted between Seliger, a senior GOP senator, and Patrick. Seliger’s legislative clout has been diminished by his removal from key Senate committees, namely the Higher Education and Education panels. Now we hear that Empower Texans, an advocacy group that has taken aim at Senate moderates, such as Seliger, is getting to mix it up directly with legislators the group seeks to influence. Something is telling me the Texas Senate is going to become an unhappy place in this legislative session. I have spoken already on this blog about some of the damage that can be done to West Texans who depend on their state senator to look after projects that provide direct benefit to their part of the state. 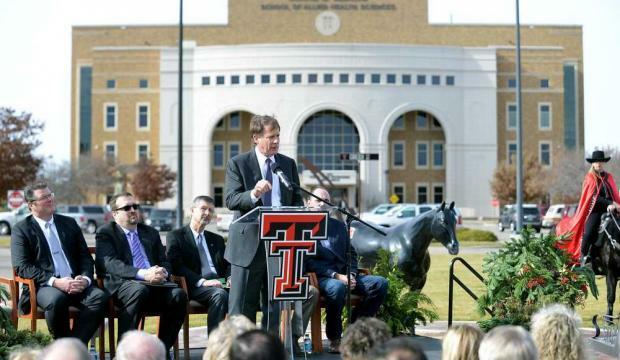 I want to discuss briefly one specific project: the Texas Tech University System’s plan to build a school of veterinary medicine at its medical school campus in Amarillo. Why mention it? 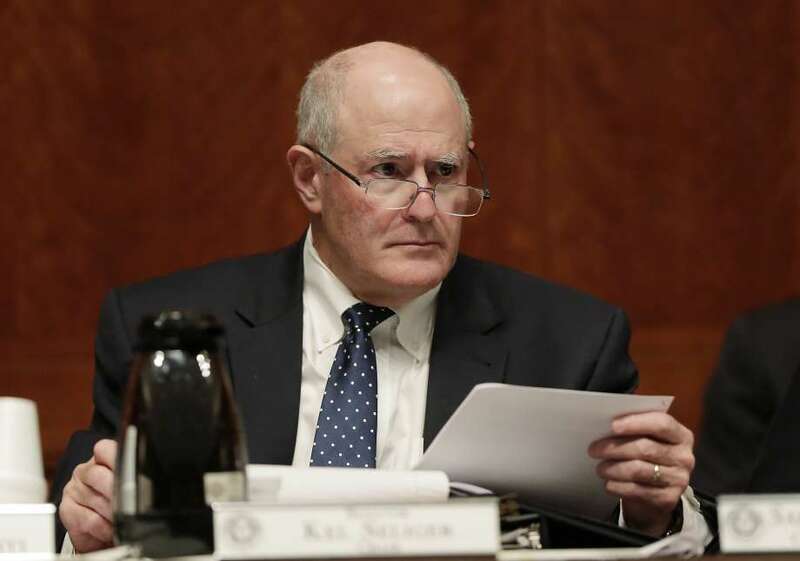 Because a veteran legislator, Sen. Kel Seliger, an Amarillo Republican, has been yanked out of the chairman’s seat on the Higher Education Committee. Seliger lost the chairmanship he has occupied for several legislative sessions. The loss of that seat could cost the Panhandle dearly. My sincere and adamant hope is that it does not endanger the veterinary medicine school that Tech wants to build in Amarillo. The Tech Board of Regents has signed on. The Amarillo Economic Development Corporation has committed tens of millions of dollars to it. The Panhandle community supports the vet school, which would be the second such college in Texas; the only other vet school is run by Texas A&M University, which quite naturally has been pushing back against Tech’s plans to build the school. The school of veterinary medicine will provide a direct boost to Amarillo and the Panhandle. Tech has established a need for such a school, which could cater to large-animal veterinary care in a region known for its livestock. Does the Seliger removal from the Higher Ed chairmanship put the vet school in dire peril? It must not! However, there is the possibility that the Panhandle’s lack of a voice on the Higher Ed panel could work against the forward momentum that is building for the completion of the project. Lt. Gov. Patrick has done some damage to the Panhandle with his apparent vendetta against the region’s senior state senator. Let us all keep our eyes and ears open to the legislative maneuvering as it involves the Texas Tech school of veterinary medicine. Those of us who know Texas state Sen. Kel Seliger need to take a look at a clean and crisp political analysis about the growing feud between the Amarillo lawmaker and fellow Republican Lt. Gov. Dan Patrick. The Texas Tribune’s Ross Ramsey has concluded that Patrick is likely misplaying his hand in punishing Seliger for an impolite remark the senator made regarding a top Patrick aide, Sherry Sylvester. By banishing Seliger the chairmanship of the Senate Higher Education Committee and taking him off the Education Committee, Patrick has muted a key Texas Panhandle voice on matters involving public education. Seliger has been a champion of both public and higher ed since he was first elected to the Senate in 2004. In fact, Seliger’s service on the Education panel continued the Panhandle presence, given that he succeeded the late Teel Bivins in the Senate District 31 seat. Ramsey’s analysis takes note of how Patrick has demonstrated a habit of (a) punishing a senator from his own party and (b) pouring it on. What might play out as the Senate gets down to legislative business over the course of the next 120-some days is whether Seliger emerges as a “swing vote” that could deny legislation from coming to a vote of the full Senate. I don’t believe Seliger is a particularly vengeful individual. Then again, he’s been done wrong by the lieutenant governor and, by extension, so have his West Texas constituents been harmed by Patrick’s petulance. Seliger takes his public service seriously, even if he doesn’t always taken himself so seriously . . . which I consider to be a positive trait that I believe all politicians should exhibit. Judging from the way Patrick has erupted over Seliger’s supposedly crude comment, the lieutenant governor is taking himself far too seriously to suit my taste. Then again, I don’t have to serve with this guy. Oh, no, I get to do something even better: I get to complain about his conduct as the Senate’s presiding officer, given that he works for me and the rest of the state’s 27 million residents. Therefore, I believe he has messed up by attempting to manhandle one of the Senate’s wisest and most experienced individuals. 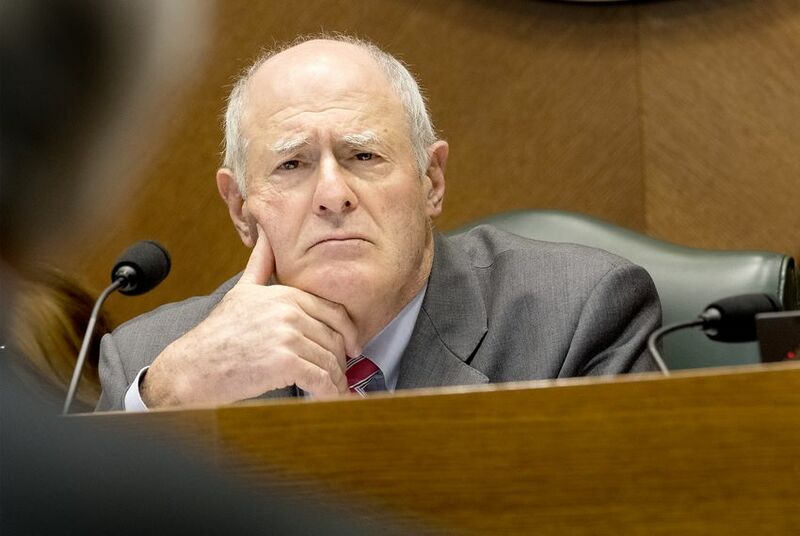 Texas state Sen. Kel Seliger has been stripped of two committee chairmanships, citing differences in philosophy and policy with the man who took them away. Lt. Gov. Dan Patrick says he did it because the veteran Amarillo Republican lawmaker spoke rudely to a key Patrick aide and calls Seliger a “corrosive” influence in the Senate. Actually, there’s not a damn thing “corrosive” about Seliger, who has staked out a reputation over his 14-year Senate career as a man who works well on both sides of the political divide. I believe Seliger’s view is the accurate interpretation. The Texas Republican Party has morphed into something quite different from what it used to represent. It has become more interested in “social issues,” and issues relating to “morality.” I’ve known Seliger for more than two decades and I feel confident in suggesting that he doesn’t dance to the socially conservative tune played by the state’s GOP legislative leadership. It’s not the rarest of events to see the political ground shifting under politicians’ feet. Texas Democrats begin tilting significantly leftward in the late 1980s leading up to the 1990 gubernatorial election, which seated Ann Richards in the governor’s office. Richards was far more progressive than your standard Texas Democrat. Indeed, there were a number of Democratic lawmakers who turned Republican about that time. One of them was former state Rep. Warren Chisum, the Pampa oil man and rancher who once was a proud Democrat but who turned to the GOP. His stated reason was that the party shifted away from his own world view. Do I expect Sen. Seliger to wake up tomorrow morning and shift to the Democratic Party? No. He stands by his “conservative Republican” credentials. Seliger’s brand of conservatism, though, deals more with fiscal matters than it does with social issues. Patrick remains a fiscal conservative, but he has been seen by critics — such as Seliger — as being no friend of public education; he likes vouchers, which Seliger opposes. So, for the moment, Seliger — as well as his West Texas constituents — are paying a steep price for the senator’s dispute with the lieutenant governor. I am not going to buy into the notion that this stripping of power is based solely on a perceived rudeness by a senator who still enjoys great support among his colleagues. I have to weigh in one more time — although quite possibly not the final time — on the growing Texas Senate feud between Lt. Gov. Dan Patrick and Kel Seilger, an Amarillo Republican. The way I see it, Patrick is acting as if he employs the 31 members of the state’s upper legislative chamber. That ain’t the case, fella. They work for us. 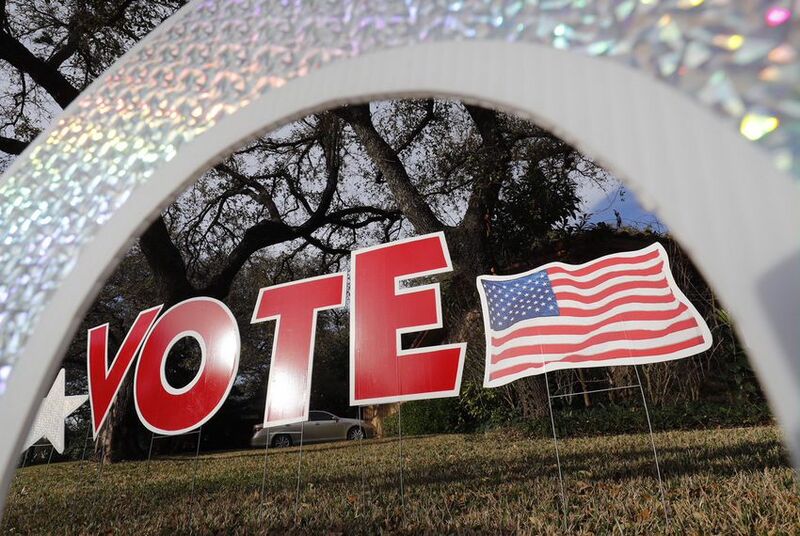 They work chiefly for the people who they represent in their respective Senate districts as well as for those who live in other parts of the state, given that they enact laws that affect all Texans. The lieutenant governor stripped Seliger, a seasoned veteran of the Legislature, of all his committee assignments. Why? According to Seliger it is because the two men have different world views and legislative priorities; Patrick claims he did it because Seliger reportedly has a potty mouth and made some “lewd comments” to a female Patrick staffer. Either excuse seems to point to a dictatorial streak being exhibited by Lt. Gov. Patrick. The Dallas Morning News this morning published a lengthy feature on Seliger and the reputation he enjoys among his Senate colleagues. I’ll attach it to this blog post. Spoiler alert: The reporter, Lauren McGaughy, called yours truly for comments on Seliger, and she included some of them in this piece. My point here is that Seliger answers to West Texans first and to the rest of the state second. Patrick place on the senator’s pecking order priority list is a very distant third. I already have stated my pro-Seliger bias in this dust-up. The Texas Panhandle — where I used to live — and the rest of Seliger’s vast Senate District 31 have been disserved mightily by Patrick’s petulance. He referred to Seliger in an earlier DMN piece as a “corrosive force” in the Senate. The comments given to the Morning News by senators in both political parties paint a vastly different picture of the man with whom they have worked and served our great state. I will continue to stand by my friend, Sen. Seliger. The Texas Republican Party used to be represented among its elected officials as an organization dedicated to low taxes, local control and individual liberty. There was little else at the top of the party’s agenda. That’s no longer the case. It now gets involved in issues such as use of public restrooms, school vouchers and whether we should allow prayer in public school classrooms. I mention this in light of the recent tumult involving two key Texas Republicans: Lt. Gov. Dan Patrick and state Sen. Kel Seliger. Patrick has kicked Seliger, of Amarillo, out of the chairmanship of two Senate committees and removed him from membership on two others. Seliger didn’t like one of the chairmanships he got, said something to a radio talk show host and then got the boot from that chairmanship. Patrick blames Seliger’s impolite remarks about a key Patrick aide; Seliger blames the tempest on the vast differences in the two men’s approach to government. Spoiler alert: I am going to side with Seliger on this one. Which brings me to a key point. I once wondered aloud whether Seliger has a place in today’s Texas GOP. I posited the notion that the party has moved away from the senator’s more pragmatic approach to government. Given the rigid ideology that at times drives Patrick’s legislative agenda, I am thinking once again that might be the case. The closest thing I can find in Seliger’s political portfolio that might tilt him toward a “socially conservative” viewpoint is his strong support for gun owners’ rights. He calls himself a proud member of the National Rifle Association. The rest of his legislative political career has focused more on the value of public education, on keeping our tax burden low, fighting for private property ownership, issues that matter to the rural West Texans who help re-elect him to the Senate every four years. Patrick well might believe in all that, too, but he goes a whole lot farther than Seliger does. He pushed that idiotic Bathroom Bill through the Senate in 2017, only to watch it die in the House when then-Speaker Joe Straus declared it dead on arrival. The bill would have required transgender individuals to use public restrooms in accordance to their gender at birth. Discrimination, anyone? That’s the kind of nonsense that seems to drive so many Texas Republicans in public office these days. I don’t believe Seliger — whom I have known well for the past 24 years — buys into that agenda. So these two men have butted heads. Patrick presides over the Senate. He can assign or un-assign senators to whichever committees he chooses. 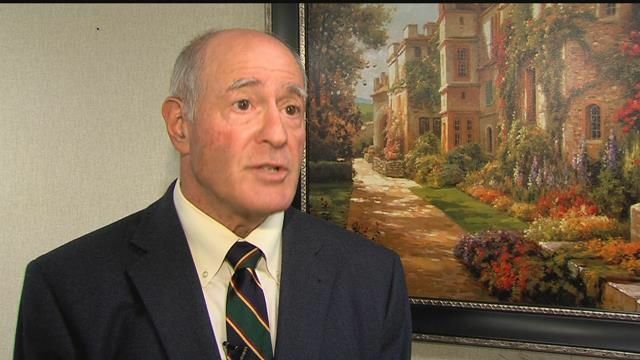 Sen. Seliger calls himself a proud Republican. I believe he does so with sincerity. The problem, as I see it, is whether the GOP leadership is aligned with this good man’s practical sense of government’s reach and its limitation. I fear it isn’t. I cannot put aside the shafting that Texas state Sen. Kel Seliger got from Lt. Gov. Dan Patrick. And as a result, Patrick also gave the shaft to hundreds of thousands of West Texans who deserve to be represented by their veteran lawmaker. And for what reason? Because the Republican senator isn’t loyal enough to the ideological agenda proposed and pushed by the Republican lieutenant governor! 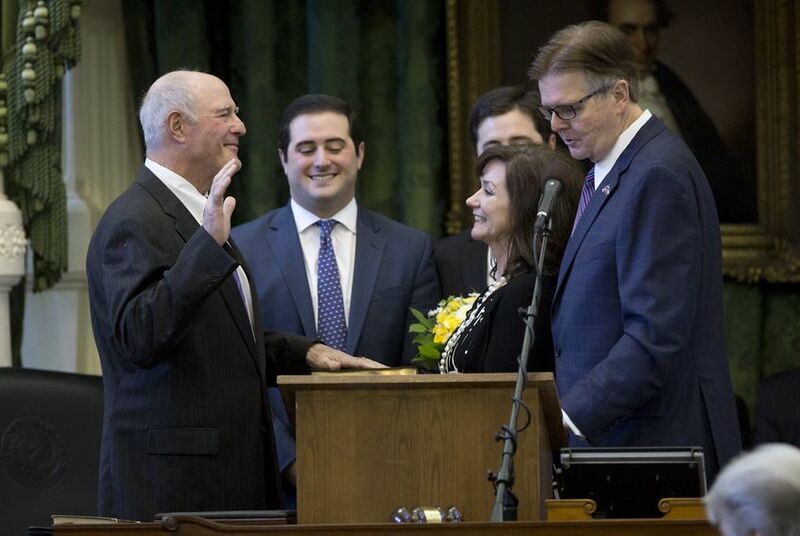 From my vantage point, I believe Seliger answers first to the West Texans who have elected him to the Texas Senate, not the guy who runs the state’s upper legislative chamber. Patrick removed Seliger, of Amarillo, as chairman of the Senate Higher Ed Committee; he pulled him off the Senate Education Committee and the Finance Committee. He installed him as chair of the Agriculture Committee, then pulled him out of the chairmanship after Seliger made what Patrick thought was an “lewd” comment about a key Patrick aide. Seliger believes Patrick is angry over the senator’s resistance toward some of the rigid ideological views that Patrick expresses on occasion. He favors public schools and opposes Patrick’s push for vouchers to lure students away from public education. So now the residents of Texas Senate District 31 have a senator in office with vastly reduced political clout. Shameful, I tell you! This tempest reminds me a little of an earlier fight between two congressional Republicans, one of whom represented West Texas in the U.S. House of Representatives. Then-House Speaker Newt Gingrich was a champion of something called Freedom to Farm. He had led the GOP takeover of Congress in 1994 and pushed the Freedom to Farm bill in the House. It would have dramatically overhauled federal farm policy, which didn’t set well with then-U.S. Rep. Larry Combest, who represented West Texas from Lubbock to Amarillo. Combest resisted Freedom to Farm and voted against it. Gingrich thought he would punish Combest by denying him a House Agricultural Committee chairmanship. Combest stood firm, telling Gingrich in no uncertain terms that he didn’t work for the speaker, but worked for the farmers and ranchers who elected him to the House. He was their man, not Gingrich’s errand boy. Combest wouldn’t be bullied by Gingrich in the 1990s. Seliger won’t be bullied by Patrick now. I see a certain similarity between these two pairings. I pulled for Combest in his fight with the House speaker and I am pulling for Seliger in this feud with the Texas lieutenant governor. Both men stood and are standing with the men and women who elect them, not the bully who seeks to call the shots in the legislative chamber.